Veteran actors Madhuri Dixit and Govinda have worked together in films during the 90s era. After several years, the stars were seen together on the show Dance Deewane in Mumbai on June 13, 2018. 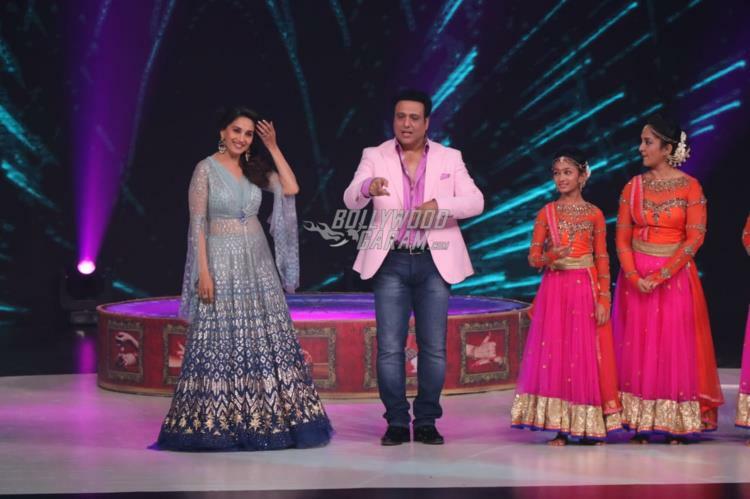 Govinda appeared as a guest judge while Madhuri is the judge on the show along with filmmaker Shashank Khaitan and choreographer Tushar Kalia. 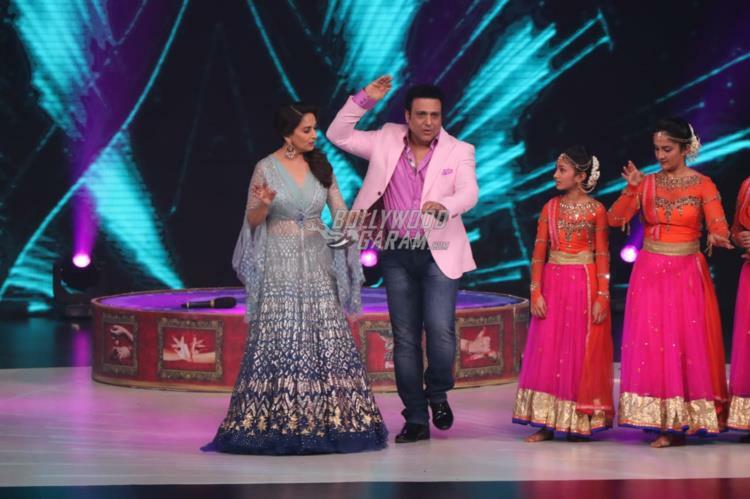 The Aaja Nachle actress and Govinda during the show entertained the audience by dancing to the tunes of the song Makhna from the film Bade Miyan Chote Miyan. 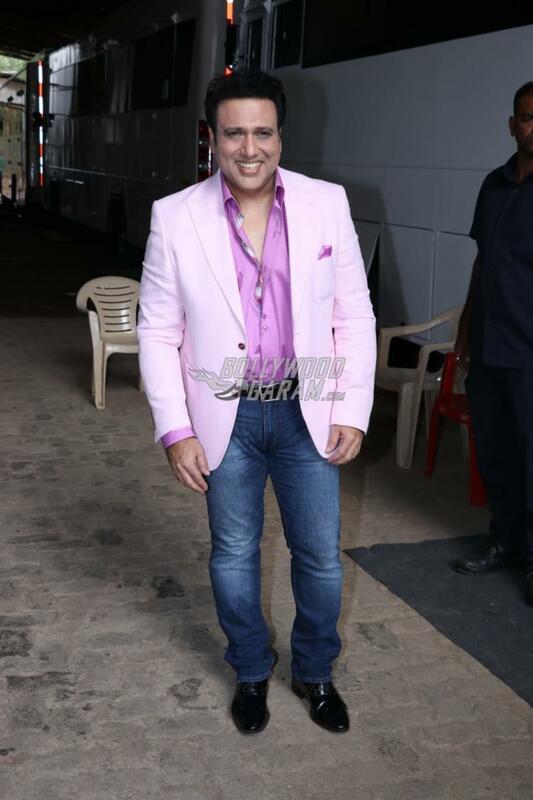 Going by the pictures, the actors had a fun time on the sets of the dance reality show. 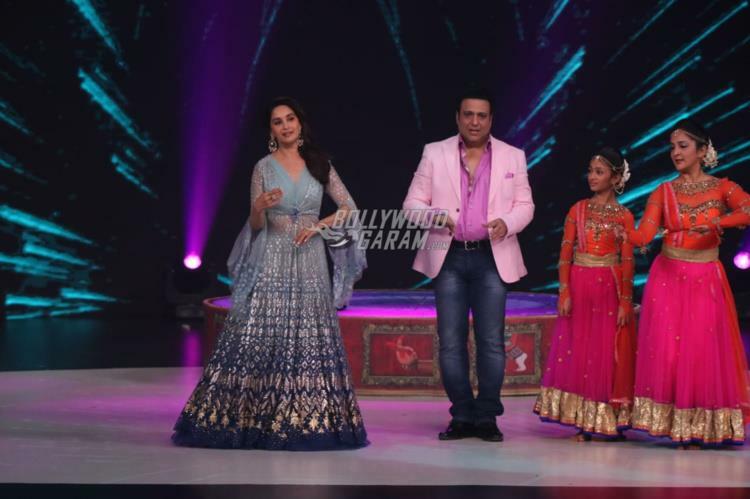 Madhuri during the shoot wore a pretty turquoise blue lehenga with heavy embellishments while Govinda was seen in a purple shirt, blue denims and a pink blazer. On the work front, Madhuri is currently shooting for the upcoming film Kalank and will also be seen in the film Total Dhamaal opposite Anil Kapoor and Ajay Devgn.